Geoffrey Palmer is at it again. Not content with creating the Treaty grievance industry by extending the jurisdiction of the Waitangi Tribunal back to 1840, and inserting ‘undefined’ Treaty principles into legislation – enabling activist Judges to invent new Treaty ‘rights’, he now wants replace the sovereignty of the Queen with a new Constitution embedding the Treaty as superior law: “I remain of the opinion that the Treaty, like the Bill of Rights, should become part of New Zealand’s new superior law Constitution”. 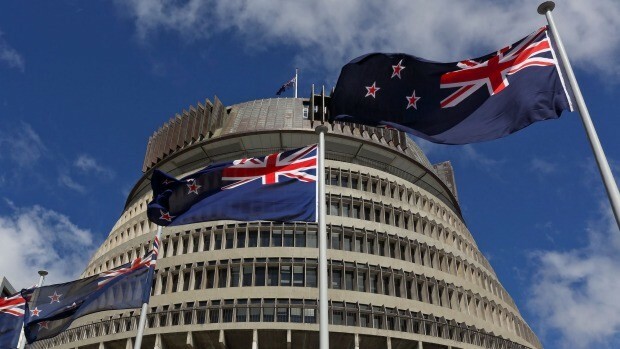 This new attack on the sovereignty of our Parliament follows on from the Maori Party’s 2012 attempt to introduce a new Treaty-based constitution, through their $4 million taxpayer-funded ‘constitutional review’. The concept was rejected by the public, and then shelved. The reality is that a country’s constitution belongs to the people. It is the charter that sets out the basic rules by which a nation is governed – such as the rights and safeguards of citizens, how state power is exercised, and how Members of Parliament are elected. New Zealand is said to have an ‘unwritten’ constitution, because like the UK and Israel, our constitution is not found in a single document – it’s a collection of statutes, conventions, and common law rights. This guarantees a flexibility and simplicity that makes New Zealand’s constitutional arrangements the envy of nations across the globe. Our unwritten constitution also gives us one of the world’s strongest Parliamentary democracies. In New Zealand, the elected Members of Parliament who make the laws are answerable to the public through the ballot box. This gives New Zealanders a power over law-making that is not found in countries with written constitutions, where judges, who cannot be sacked, are in charge of law-making. Judges would be in charge here too, if Sir Geoffrey’s gets his way. His latest attack on our constitution comes through a new book A Constitution for Aotearoa New Zealand that Sir Geoffrey has written in association with the Law Foundation Chair Dr Andrew Butler. The Law Foundation provided $10,000 in funding for the book and another $19,100 for a website. They state that the book has been written “from the position of New Zealand as a republic”, and that it “will provide a higher law constitution with increased power to the courts”. The website, they explain, is to “facilitate public submissions” in order to “refine the draft constitution based on those submissions and produce a final version”. The authors’ plan to seek the support of the Government for a comprehensive public consultation process, based on their final proposal, with a view to eventually passing it into law. Although this sounds benign, in reality it is implausible and manipulative. The authors know that written constitutions are far from the simple documents they make out. The US constitution is a case in point – while it is written in fewer than 8,000 words, its seven articles and 27 amendments hide the mountain of complex case law needed to understand what it all means. This is especially the case now that judges have given themselves the power to rule on matters that are not even mentioned – based on the ‘vibe’ of the constitution and the fact that it is ‘always speaking’. “Put aside for a moment whether it is best to have unelected judges, rather than an elected legislature, determine the law on issues. To properly understand the US constitution, we need to read not a single document, but a large number of Supreme Court opinions, consider various conventions of judicial and legislative practice, and understand presidential administration behaviours. In short, we need to understand an extensive unwritten constitution. “An interested member of the public wanting to properly understand the US constitution, its arrangements, its law, and how it works in practice, in an easily accessible format, would most usefully turn to a textbook. The objective of Sir Geoffrey and Dr Butler is clearly not to make our constitution more understandable – otherwise, as Thomas says, they would almost certainly have written a new book explaining it, rather than a book undermining it. Instead, their draft constitution reveals a far more radical agenda. While our forefathers ensured that in New Zealand, the Queen is our Sovereign, that governing power is held by our elected Members of Parliament, and that our democratic rights are based on citizenship, they want to turn that on its head. They would remove the Queen as our Head of State, put judges in charge of law making, and, by giving the Treaty of Waitangi a central role, re-define our democratic rights based on race. The Treaty of Waitangi, which was a simple document of understanding between Great Britain and Maori before sovereignty was formalised, consists of only three ‘terms’ – the first states that the Queen is to be sovereign, the third, that Maori are her subjects with the same rights and privileges as all other citizens, and the second, that those rights include the possession, use and enjoyment one’s own physical property or ‘taonga’. The Treaty did not establish a ‘partnership’, and nor did it bestow superior status on any group of citizens – it simply guaranteed equal rights to all New Zealanders under the Queen’s law. The draft specifies “Maori”, without defining who a Maori is. So, while more and more countries around the world are removing the concept of ‘race’ from their statute books – in acknowledgement of the fact that there is only one human race – this constitution would not only cement into law the fact that a ‘Maori race’ exists, but it would give judges the power to decide who would qualify as a member of that race. The “rights” of Maori people under the Treaty are also mentioned but not defined, again leaving judges with a carte blanche to decide whether that means rights to fresh water, oil and gas, the conservation estate, private property, or anything else. These Treaty clauses would be used to ensure that every law grants special privileges to members of the ‘Maori race’ such as priority access to health care, preferential housing, more generous welfare payments – and since the Treaty is ‘always speaking’, activist judges will be able to invent superior rights forever. With the Treaty of Waitangi at the heart of the constitution, every new law would have to be assessed as to its effect on Maori Treaty rights. If it was judged to enhance Treaty rights it would proceed, but if it failed, it would be rejected. All existing laws in the country would be open to challenge. There would be endless litigation, uncertainty, and racial bitterness. Some tribes are already saying there can be no full and final Treaty settlements – that binding future generations is ‘not the Maori way’. Under the Treaty Constitution being proposed by Sir Geoffrey and Dr Butler, the claims process would never end. Nor would the role of the Waitangi Tribunal – instead, it would be strengthened and widened, so it could continue to spread its misinformation in perpetuity. In fact, a Treaty of Waitangi Constitution would ensure that race becomes the single most important determinant of the future in New Zealand – controlling whether someone is part of an elite ruling class, or a second class citizen in their own land. As you read this, if in principle you oppose their plan, then you should make a submission – HERE – otherwise there is a real risk that only supporters will engage in the process, enabling the authors to claim that the public strongly endorses a Treaty-based constitution as a blueprint for the future. Sir Geoffrey is not the only one seeking to dethrone the Queen. It’s also what Gareth Morgan wants. He has also attacked the sovereignty of Parliament, proposing that the Treaty should be entrenched in a new constitution and that an Upper House of Parliament should be established with half of the members Maori. Now that he is considering forming a new political party to contest the 2017 General Election, he may use his radical agenda as part of his main policy platform. Yet another attack on the sovereignty of Parliament is coming from the Iwi Leaders Group. They launched a constitutional review back when the Maori Party’s Government review was underway, but only published their report outlining their “constitutional transformation” plan, earlier this year. Over the next five years, they aim to build the support of ‘the Crown’ and ‘local authorities’ for constitutional change to ensure “the authority of Maori is not subordinated to that of the majority”. They plan to push the Government into holding a “Tiriti Convention” in 2021, with a view to replacing the constitution by 2040 – something they do not see “as some pious hope but as a legitimate treaty expectation”. Iwi Leaders say they want to address the fundamental imbalance that exists “between the Crown’s exercise of constitutional authority and the constitutional powerlessness of Maori”. They want to “restore Maori control over matters affecting the lives of Maori”, saying that “a full and final ‘settling’ of colonisation should mean more than a cash payment and even an apology. It requires a transformative shift in thinking to properly establish the constitutional relationship that Te Tiriti intended by restoring the authority that was once exercised through mana and rangatiratanga”. These attacks on the sovereignty of Parliamentary are real. Those promoting constitutional change know that New Zealanders are not overly attentive to this area of public policy. They know that if they win over the politicians, media, and opinion leaders, they have a chance of quietly pushing their cause until at some stage in the future it will become a fait accompli. The NZCPR took a stand against the Maori Party’s Treaty of Waitangi constitution during the last Parliament, not only running a nationwide public information newspaper advertising campaign, but establishing our own Independent Constitutional Review, holding a full submission process, and publishing the findings in a report – A House Divided. But on-going vigilance is clearly needed. All New Zealanders, who believes in democracy, equal rights, and the Rule of Law, should stand up for our successful unwritten constitution, and defend it against all attempts to manipulate and undermine it. In fact, anyone who considers New Zealand’s one-person one-vote Parliamentary democracy is a cornerstone institution that should be protected, needs to strongly reject all calls for a new “written” constitution, since they are, in essence, attacks on democracy itself. Would you like to see a new written constitution for New Zealand that enshrines the Treaty of Waitangi? Under commie Key’s administration, this problem will not go away! Please vote N.Z. CONSERVATIVE, or N.Z FIRST at the next election. Sad thing is, if the ‘Treaty’ had been incorporated [Hobsons pledge] in a written constitution back in 1841, we would not have given the radicals & lefties the opportunity to re-write a modern version to suit them-selves. A.G.R.